Do you work for Google Tag Manager? Learning about Google Tag Manager? We can help. I like that Google Tag Manager is pretty user-friendly and easy to integrate with other platforms. I like that you can copy tags and triggers so that you don't have to start from scratch when building and placing tags. I like that the platform is very visual and you can see things divided and outlined clearly. I dislike how long it takes to save and publish changes. I also wish there were more drag and drop features to rearrange things into different folders. It also takes a long time to get into preview mode. Always test to make sure your tags are firing correctly. You can test everything in preview mode. We are solving problems by having secure ways to track conversions. Our business is built on orders and tracking is extremely important. We've realized the benefits of having the security to know tags and pixels will not break. "Very simple to use, limited space"
GTM is an extremely easy to use platform and user friendly. When someone talks about firing tags and pixels they immediately think of hardcoding and needing engineer involvement, but the simplified UX design of the site is easy to maneuver. I understand that is a free service, but the character space limit is a pitfall. Also, that there are issues with multiple containers being fired on a page can cause issues. Look at different ways you can trigger your pixel. If you are triggering pixels off certain regex keywords the container could get bogged down by character limit. Look to simplify the triggers as much as possible. We use the GTM containers to fire multiple hashtags on sites that we do not have readily developer access to. This allows us to update tags and pixels without having our client use their engineer team and saves us a lot of time. "I consider GTM essential for all online marketers and CRO's"
I love the simplicity and the speed. I rarely add scripts directly into my site's code, I just use Google Tag Manager since it makes it so easy to manage and edit everything in one, central dashboard. There's nothing I dislike about Google Tag Manager. It does require some technical knowledge if you want to do more advanced implementations, but compared to the alternative (of working in your website's source code), using Google Tag Manager makes it much easier to keep track of everything and stay organized. If you're not using it already, you definitely should. Especially if you have a team, because you can manage user permissions and easily see what tags are live on your site at any given moment, as well as any changes that someone else on your team might have made. Centralizing our different scripts/tags (such as remarketing codes, A/B Testing scripts, conversion tracking and analytics, etc.) and speeding up our website (especially when you have 10-20 different scripts, having them in your source code can slow down your website, which is why I recommend using GTM instead). "Tag your site without kwowing anything about coding"
My knowledge of HTML is really basic when it becames to websites but with GTM, this job got completely different. With GTM I was able to tag multiple sites, for different Digital Specialities at the same time, such as Facebook, Programmatic Buying (Double Click products), SEM, etc. It's so easy to use and you have a lot of variables to choose from. So I can say it is really customizable to what you trully want/need. It's hard to find something i dislike about this product, specially because I have use it several times and really have found barely mistakes. What a con I see on this, is that you can't really tag your website in a way that you can see the REAL traffic you can get, for that you are forced to use Analytics, although I would like to have that metric in the same product. When it becomes to Digital Advertising Campaigns, I highly recommend this product. Specially because you can use only one Account to use with multiple websites (or multiple clients websites). I also work as a Freelancer and this got me a lot of work nowadays. "Makes a non-developer's life a breeze"
I work at an advertising agency that also manages some of our clients' websites. I am by no means a web developer, but I have to be able to add and remove campaign tracking codes from client sites quickly. I am not familiar with many .php settings and I really hesitate to change any code on a site directly. Tag Manager is like a back door that's a lot easier to get in to. There's a lot less room for error as well, since you're only editing one small piece of code rather the the core site files. So even if you managed to implement the tag incorrectly, you more than likely didn't break the entire site by doing so and it's a lot easier to diagnose and correct your error. It does take some getting used to and experimentation, but that's pretty standard with most of the core Google products. One thing that really does bug me, though, is the way the Trigger "fire on" options are setup. I've been using TM for 3 years and I still have to test whether I need to use "url", "url path" and "page URL". I just choose one of those each time and test it until the tag fires. There isn't a whole lot of documentation (not that I could find anyway) that explains the differences between those. There needs to be some sort of glossary INCLUDED in the program while you're navigating through. Similar to how Analytics has hover-over tool tips that explain what certain metrics mean. Just keep things organized. It's easy to accidentally create multiple triggers that essentially do the same thing. You really only need one trigger for each particular function and you can use that trigger to fire multiple different tags. I also recommend implementing some naming conventions to keep everything easy to navigate through. I do all of our agency's digital advertising and I use Tag Manager to place tracking codes for each and every campaign we run. Analytics does half the job by telling me what actually happened, but Tag Manager is essential for getting that information into Analytics. Our campaigns would be a lot more difficult to track without it. "Greatly simplifies the life of non-IT folks"
Once you get the hang of creating triggers for your tags, it becomes so easy to manage all your scripts in a single place. That makes it so much easier to see all the tags you're using on your websites, and it also makes it much easier to give limited access to vendors to add tags to the site - no direct access to your site required, and everything is captured in version control so it's easy to tell who made which changes. There's definitely a learning curve of figuring out how exactly to trigger everything. Once you've set up a few basic tags though it becomes easier and is definitely worth the time you spent to learn it. Set up an extra GTM container and use it on a staging site. You can then use the "preview" to see exactly which tags trigger on which pages and events. It makes it much easier to validate this way on a staging site, and then deploy the changes to the live container & live website and already be certain that things are tracking and firing exactly as you intended. Version control and allowing vendors to add tags without direct site access are the biggest benefits we've reaped. Again, it's also a lot easier to see all the scripts at a glance in a single tool, as opposed to even seeing all the scripts within our CMS, since they can be added in several different places and ways. "Streamlines adding scripts to the site without bothering developers"
The process of adding tags and triggers is very intuitive and allows for scripts to be added to the site within minutes. It also lessens the reliance on developers allowing marketing to have control over what scripts are running on the site and add/edit/remove them as necessary. When there are many tags and triggers they can get a bit unwieldy to manage. There is an option to create folders, but it is not a perfect solution. Also, there is a mandatory screen before publishing each version to name your version, which might be useful for some people but I personally wish I could turn it off. If you manage campaigns that require scripts or triggers to be added for retarketing/lead tracking, this is a very straightforward solution. Implementing remarketing and lead tracking codes on the website has become incredibly simple. There is no longer any back-and-forth between developers to ensure something is working properly. The preview mode allows me to troubleshoot and confirm the tags are working as expected right away. This has saved immeasurable amounts of time and allowed campaigns to get to market days if not weeks faster. "Extremely Useful but Slightly tricky"
So far I wasn't able to find much onboarding or documentation about how to use Google Tag Manager and I have had to learn most of my information through coworkers. If you don't know HTML it can be tricky to set up items like triggers. it's way easier to learn how to use Google Tag Manager if you have a coworker/resource that you can talk to. Troubleshooting issues or questions with Google Tag Manager through documentation alone is a little lacking. we are tagging sites and setting up triggers to fire for tracking conversions driven by social media data. Once you place Google Tag Manager on your site, you are able to customize and make as many additions as you would like without changing the existing code on your website. As a marketer it enables us to implement and customize new tracking codes without having to bother our dev team. Additionally, GTM has a lot of integrations with advertising vendors making it very easy to implement new tags. There is also a great community of GTM users so it is always easy to get help from experts. There isn't much I dislike about the tool. I have never found it limiting with what we are trying to accomplish. It takes the web dev team out of the equation when we need to get code up on the site quickly. Additionally it allows us to uniquely customize web tracking. "Implement Tag on Your website with minimal suport"
There is nothing to dislike about GTM it is getting better and better as days are passing. It's not a new bee though in a market of Tag Managers others have some more features than GTM for user management. GTM will also get more features and different tags in future but it has a plus point it is a free tool to use. - Saving the implementation time in a website. - Anytime does modification on implementation or remove any tag. - Easy to implement and do not affect the website. - Google support and many other public forums. "Amazingly powerful if you go beyond the basics"
We were joking that you could almost build an entire CMS out of GTM, if you were deviant enough. The basic use case is very straightforward, but the depth available for deeper customizations is immense. It's a bit opaque. Without digging and reading blog posts, it's difficult to know how to do XYZ thing without a lot of trial and error. Follow Simo Ahava, that guy is awesome. Every x months someone in our company's marketing department want to install some new tracker, this allows us to centralize control over what is happening and who is making it happen. We also use it for advanced custom metrics in Google Analytics. "Self Taught and Certified in Google Analytics and Tag Manager"
Uploading GTM recipes one at a time and then being redirected back to the dashboard page. It would be nice if you could select multiple GTM recipes at one time and upload them all. It would also be nice if there was better training and support from Google as they are the ones that built this tool. Implement recipes to start tracking data faster! There are a lot of resources online including How to documentationa and youtube.com video tutorials. It is pretty easy to learn the basics but for the more advanced user it will take sometime to understand the complexities. You may also need the help of a developer to update and add code to your site in order to track very specific on page metrics. Other then very specific metrics GTM is very useful for tracking data about the interaction within your site and its separate pages. It also helps show how people are leaving your site. Increasing SEO services to our client while increasing monthly revenue. It has given us a great understanding of how our clients and their customers are utilizing websites so we can then update and enhance the content to increase the overall functionality and performance of the website. Easy usability and integration with other vendors. It's super easy to create new containers and add new tags. Many vendors are integrated and for the ones that are not it's as easy as copying the code into GTM. There is not much to dislike. Very user friendly and it's free. However, I've had some issues where the preview tool was not working, but that was fixed with clearing the cache. We've compared a few different solutions and GTM made the most sense for us. It's free, integrated with many other vendors and easy to use. Implementation of tags can now be managed by the marketing team itself without the use of any tech resources. Prior to GTM it always took a long time for new tags to be implemented. Now it can easily be managed by the marketing team and we don't depend on tech resources once the container has been placed. QA is very easy with the preview and debugger tool. "Track and measure any interaction you can imagine on your website." You can also use Tag manager to implement other analytics tools, such as HotJar. Think about what you need in an analytics platform. Tag manager is great for complex interactions, but it does require a bit of coding knowledge. Ability to track complex interactions within single page applications and data binding frameworks. We've been able to measure the effects of changes to features we've made on the site that are more than just page visits or single button clicks. "Solid Product Makes Allows for Less Deploys"
Once the structure is figured out you you can quickly manage loading of all sorts of pixels. It allows me to not have to deal with the dev team for minor updates and pixel tests. The layout is a bit cumbersome for anyone that does not have at least some tech background. Also when managing more than one one account the sorting and user administration is still a bit wonky. It is a free product that meets the needs. It is also nice to be able to visually see all tags that you are firing. This allows for some logic turning off old tags and keeping your site fast. I am able to manage the pixels across multiple domains for my company. This allow me to setup new Marketing software tests without having to use any outside people. "Fantastic Beginner Tool, Lacking Advanced Integrations"
Tag Manager is a fantastic entry into for beginners into the world of tag management. If everything has been done via hard-code and plugins before, GTM is a breath of fresh air. There aren't a ton of native integrations for passing data, and the documentation is mainly crowdsourced rather than being provided directly by the creators. If you have no tag management now, there's no reason not to use GTM to at least run your basic tracking and analytics. If you actually have a budget for it though, you'll want to compare to Tealium and Ensighten, especially if you're an enterprise organization. GTM makes creating scalable, repeatable analytics setups much easier for franchises. It's also great for marketers who want to be more nimble and not be locked behind IT or engineering to get new systems or optimizations deployed. "Great For Managing Website Tags"
Google Tag Manager is a perfect solution for consolidating website tracking tags. GTM provides easy to use management tools that allow you to get extremely specific with how and when tags fire. GTM cleans up all the various tags on your site and replaces them with a small bit of neat code. After using GTM for years now, I have not run into any issues with it. Whenever I have a very specific use case where I need to create a custom tag, there is always a solution in GTM. I have not come across any instances where I couldn't add a tag that I wanted. I use Google Tag Manager from the perspective of a digital marketer to help with digital marketing tracking. It is very useful in keeping tags organized and setting up specific firing specifications. I have found it beneficial in setting up conversion tracking. "Easy way to update tags without dev resources"
Tag Manager is an easy way to add/edit tags on a site without knowing how to code and/or having dev resources available. Tag manager has a steep learning curve and can be unintuitive, especially when customizing how tags fire. Tag manager is a great way for marketers to add tags to a website. Best of all it's free! No reason not to try. Tag manager solves the problem of not having available dev resources to add and edit tags to a website. It also allows non-technical marketers to add various tags, such as the universal analytics JS tag, without actually knowing web dev. "As a digital marketer, I NEED Google tag manager so I don't have to constantly deal with developers"
I'm able to add code and tracking on websites without having to go into the html of websites or deal with developers. It also organizes tags and codes super well - a MUST for digital marketing. It essentially makes you put one tag on every page of your website and you are good to go. There is definitely a learning curve with this free service, however just watch videos on youtube and follow along and you shouldn't have a huge problem. This is definitely true for nonweb developers out there thinking of using this. Watch videos on how it works before you try doing it yourself otherwise you could get confused and not implement it correctly on your website. Tracking conversions on websites that don't have a dedicated thank you page after someone completes a conversion or completes an action. "Great Product but Analysits Beware"
Ease of implementation onto website of both the GTM and any snippets you manage with GTM. If you're loading multiple scripts asynchronously, there could be an impact to data integrity in analytics/reporting applications. You're creating an additional potential point of failure by using GTM rather than implementing your scripts directly on page. Data could be lost due to network lag or disruptions from your webhost to the GTM servers or from your mobile network if you're on a mobile device. If the scripts don't fully load due to any of those issues, you won't have your data. If accurate metrics are your game, you'll want to load mission critical scripts for metics directly on your website rather than though GTM. "The Best and Accurate way to Manage Tag on your Website"
first of all what I like with Google tag is, It help me to monetize my website not only with Adsense and Adwords but also with a third parties advertisement provider. It also makes my job easier when I came up with an Idea to make my site AMPSupport. The structure of the app is very much good, particularly I am very much impressed by the Workspaces. If you really want to be successful and make money with your online business you need to try Taag Manager after learning it perfectly.First, it seems difficult but soon after that, it is just like ice of cake for anyone. It is very hard for me to earn from my website when Google Adsense deactivate my account. After that, it is very difficult for me to get an advertiser. After that, I came up with some native ads thing finally with the help of google tag manager manage to monetize my website. "Such an Important tool for anything related to digital marketing"
I absolutely love how easy and simple it is to use this tool. It works really well and have become accustomed to creating tags and triggers. Setting up GTM is maybe one of the most easiest products to use and I use this and Double Click Manager. It allows you to preview the tags created before pushing them live and you can QA each tag to ensure it is firing. I cannot say I have found anything that I dislike yet because it is quite an easy and simple tool that every marketer should have in their arsenal of tools. The only thing I may dislike is that sometimes to really get the fine points of what your tagging, you may need to know some script but that is more or less on the user and not the platform. If you are at all in anyway thinking about digital advertising or are already in the digital advertising/marketing world, then start using this tool already! I currently use GTM to create tags and combine these tags with the spotlights created in Double Click Manager to use for reporting purposes. It allows us to see where users go and what they are clicking on the most. "A Marketeers Dream For Launching Tools Without The Need For A Developer"
Google Tag Manager (GTM) allows you to launch most tools on your website with the click of a few buttons and without the need for a developer. Whether you're looking to track users around your site or install a pop-up banner, GTM lets you quickly and easily add code to your website. What's more, all code is stored, managed and loaded via GTM, meaning that it doesn't slow your website down. It does take some getting used to and many of the advanced features are beyond the typically understanding of a marketeer. Whilst there are lots of online resources, advanced features do take some learning. There is the need for some development and the more advanced you get the more your development team need to get involved to ensure that data is being parsed (so that GTM can detect it and parse it onto the tools that you're using) and that conversions are being tracked - unless you can track a conversion with a unique URL, you'll need to install custom tracking event codes into the back-end of your website and ensure that buttons are correctly named with classes. It's a no brainer, just prepare yourself for the implementation and ensuring that your website is setup so that you can track events with custom class names and conversions. GTM enables marketeers to be dynamic and test new tools and techniques. Easy implementation means that you can get up-and-running very quickly and trial new experiences. The more advanced features of GTM allow you to get granular with tracking and customisation of your website without the need for advanced setups from development. Non-developers can add tags immediately. There's a tag for every action you can imagine on a webpage. Incredible tutorials exist to support power-user inquiries and custom tagging. Great integration with Webmaster Tools and Analytics. A lot of trial and error is required for more complex tagging like custom events, though that's probably the case for any complex analytics software. Occasionally third-party tags are finicky to implement. There aren't good administration tools for agencies that allow default access based on agency administrator status - people still need to be added to every new Tag Manager one by one. Core business problem: Effectively and efficiently tracking success in a way that is repeatable and consistent. Ability to move very quickly on ad campaigns; ability to make adaptations to tracking on the fly; ability to empower our Media team to install our own tracking rather than constantly have to rely on our development team. "A great way to track custom events without bothering site developers"
It's a life saver being able to quickly set up new tracking tags including GA and Pixel on a site without requiring access to the CMS of a clients site. There is a weird bug where you can get stuck in an infinite loop through the menus, it's nothing major and it's somewhat rare but it requires a page refresh when it happens, losing some work. Google Tag Manager is great because it keeps all of the tags for my site in one clean interface. It makes it easy to change or remove code snippets and keeps the code on my site to a minimum. There is a large learning curve in figuring out how it all works. There are help tips for most things, but I have found they are not as clear as they could be. I manage over 70 websites. Google tag manager allows me to manage all of those from one dashboard. It saves me time by making it so I do not have to dig through the code of each site. "Google Tag Manager - One Tag To Rule Them All"
It's a powerful tag management tool and software provided by Google. And it's Free! Just love this tool and it's something that I always deploy and use in almost all websites and campaigns I handle. It's powerful variable, tagging, triggers and datalayer capabilities are what makes this tool super powerful in handling data, tracking, and integration needs. Find a consultant that can implement GTM properly. I would want to be able to track events, clicks, downloads, scroll time, enhanced ecommerce and dynamic remarketing within my website. And Google Tag Manager helped a lot in getting these things implemented on the website easily. I've realized and understood my website visitors more which helped in getting more conversions. 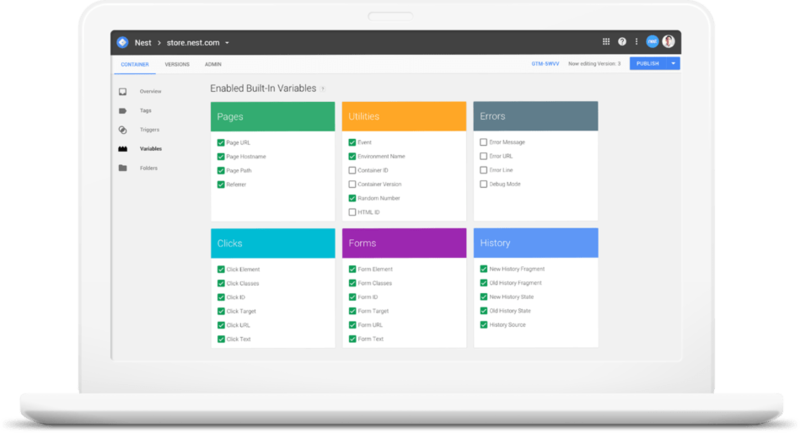 Google Tag Manager is fairly straightforward on building tags, variables and triggers. The interface is clean, all the tools are there ready-to-use, and the tags once published works immediately. The how-to's from Google gives you the basics, but on tagging various kinds of elements, it doesn't go deep enough in that regard. I'd encourage you to look at other resources outside of Google to learn to use Google Tag Manager properly. One of these that I'd recommend is MeasureSchool. Plenty of free resources from that site, and their YouTube channel has been invaluable. I'd also encourage you to check the Google Tag Manager Product Forums. which are public forums by Google. You can post questions, tips and the like, and it can provide additional resources. This solves the issue for me of having to reach out to IT or a developer to tag elements on a page. Now, I can do this myself, and keep the codes (tracking tags in code are still required initially) to a minimum. I can also test and tinker around with what tags work best without having to place inside the code. "Integrate as many tags you want without slowing down your website's load speed"
The interface is very intuitive. It makes it look easier than it really is, which is very useful once you start getting an idea of how to use it. It's a really difficult tool to master. Baby steps would be the best way to describe the learning curve. Look for tips and recipes from Simo Ahava and WordStream. Read and do not get discouraged. This is a great tool. Do not even consider adding tags to your website without using Tag Manager, this tool helps you avoid great risks. You will never have to touch the HTML of your website, which reduces risks greatly. You can also add as many tags as you need without slowing down your website (which deteriorates UX). "Google Tag Manager Improves page load speed"
No option to use tags that insert content to any page, such as some social sharing or advertising tags. Only good for tracking pixels. Be certain that your needs are met by the free option due to set-up time required and lack of expected gains if additional non-supported tags are used by your site. Be sure you won't require quick turnaround on support questions and can spend time using support forums to resolve any issues - standard complaints for lack of Google customer support options. Page load speed is the primary goal - which can be improved by using the asynchronous options provided by tag management tools. This allows pages to load without blocking page render. User perception is dramatically improved, especially on mobile devices, which improves visitor retention and increases page views per visit. "Great, easy to use tag management solution"
I like how quickly we can get tags up and running on our website without having to wait for complicated development cycles. The fact you can launch a tag and take it down very easily makes the risk of trying out new tags and vendors much easier than before. Integration with doubleclick makes things very easy on the advertising side. Nothing that bad about it. I think you have to have the expectation that if you have a complicated website, any additional tags could have potential to break the website so you might still have to go through a typical development cycle but the ability to roll back changes really helps mitigate those risks that would have been prohibitive to add anything new on the website. We've been able to test new ideas and be open to trying new things because tag manager allows us to easily do those things without much issues. It's great for when you do a lot of advertising because there are so many advertising tags out there for tracking. Having tag manager makes it super easy to launch new ones. "Google Tag Manager is a great resource for amplified tracking"
I liked Google Tag Manager best for creating custom tracking. My company used it in a variety of different ways. We used it a lot of third party sites to establish specific tracking, especially for SEO and PPC needs. Once it was properly installed onto a site it gave us a lot insights on how the website was performing. We funneled the data into our own platform was it was less standard than the typically Google Tag Manager experience. At least in the way I used it it was very limiting. On my end once it was added to a site I never used it again. It also doesn't give you any alerts if tracking is lost. For example, if a domain change occurs you won't noticed until you go and check your tracking. My recommendations for someone considering using Google Tag Manager is to thoroughly read the implementation process. Google is good at supplying you with the how to's but you need to be sure you accurate install and use it. My company used Google Tag Manager for our third party sites to establish specific tracking for specific campaigns. "Must have tool to integrate almost every script on your website"
- Track goals on your website in Google Analytics justi with several clicks in Google Tag Manager with the tracking of mouse clicks, following links and etc. 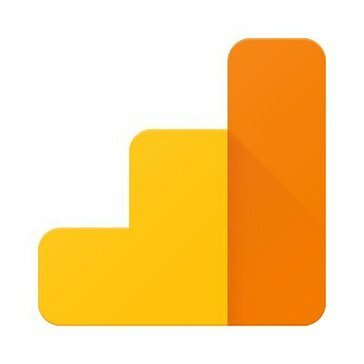 - Create and send custom events to Google Analytics, so you can track clicks on buttons, sending forms, customer watching videos, etc. The UI is very intuitive and easy to use. The way that the tags are categorized by Account makes it easy to manage a large number of tags at once. There are also a vast number of available tag formats to work with. Sometimes it takes a while for new tag formats to be included in Google Tag Manager. Although this is mainly for new and seldom used tags, it can be frustrating to wait for them to roll out new formats. If you only plan on utilizing widely-adopted tags you don't need to worry about this. 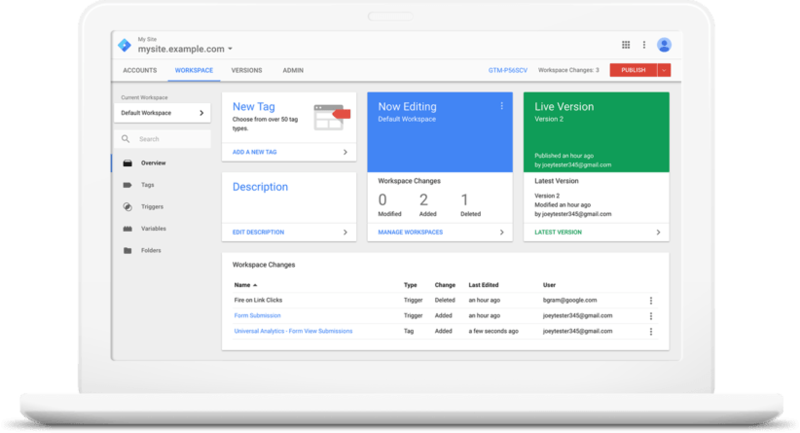 If you're looking for an intuitive tag management product that is able to work with the majority of tag formats in the marketplace today, Google Tag Manager is a great option. If you're constantly testing the new tag formats when they are released into the marketplace and want to be one of the first people to test them, there may be other products that will be better at working with you and your team to develop what you need. Google is such a large company that one company is not able to make much of an impact on the overall road map of their products. I primarily use Google Tag Manager to bucket different conversion triggers together to that it's easy for the site admin to implement. Combining different triggers into one container tag decrease the changes of an error being made when the site admin has to implement the tag. "Google Tag Manager for your business"
I can recommend the Google Tag Manager because its a great Tool to use different trackingcodes.. The implementation is not so easy. You need some technical skills. I can recomment the Google Tag Manager because it is an easy way to implement different trackingpixel or trackingcode with this tool. But you need a person how have technical skills because the setup could be a little bit tricky. We use the Google Tag Manager because we need an easy way to implement different trackingpixel or codes. Using the Google Tag Manager it could be an easy way to solve this problem. And a really great thing is that you do not have to pay for the Google Tag Manager. It is a free cost tool. And if you need help or support - you can use the google community or you can read the "google how to" sites. But if you still have problems with the implementation you will not have a chance to call directly to google. Yes sure, you can call the Google support team, but i am really sure that the supporter do not know the advance tricks for the implementation. If you dont want to use the Google Tag Manager you can use some other tools. But - other tools are not for free. You have to pay (sometimes a lot of) money for a licence or the setup. So, if you are thinking about the Tag Manager, try it. "Excellent tool for Tag Management"
It is a tool that greatly simplifies the management of tags or snippets of code (scripts) to be able to track and measure any milestone that occurs on our website. Google launched this tool at the end of 2012 and has made it available to users since then in a totally free way to try to make the work much easier and more agile when it comes to implementing the technical code that any website needs, with the objective of analyzing and doing an adequate follow-up of the visits to the website. I love it is free. It is a difficult tool to manage. The learning curve is high. I recommend taking a course in advance to get more out of it, and consult certain forums and blogs of subject specialists. Tag management without installing code on the web or reducing the need of a IT team. "Necessary for Any Digital Marketing Team"
Some of the triggers, like "form submit" do not always work and you're still at the mercy of the sites current architecture. It can sometimes be clunky and while there are definitely limitations, the good far outweighs the bad. There are no real downsides. The only instance where this would not be effective for managing tags is if a script such as Optimizely needs to be implemented directly on the page. Significant time/money saved by being able to easily create tags without having to use dev resources. This helps move projects along more efficiently. Also, the level of detailed data we're able to extract from the site presents very interesting/useful analysis opportunities. "Perfect solution for large scale businesses"
It can mess with event triggers if you're not careful about the way you code. Especially when assigning links to elements it might try to cover automatically with some features (like element/click tracking). Test frequently, often and regularly! Look at translating any analytics plugins you have - there's a way to do everything in tag manager. It's automatically asynchronous which relieves a lot of worries. It doesn't appear too heavy on CPU on the client end either. Tracking across a site that has hosted clients with bespoke needs and a brochure that requires a different approach and separation from other content it's mixed in with. Specific targeting rules within Tag Manager mean you can cater for all the above - as well as rolling out tags for the entire site! It also means you don't have to go through development to upload new code. Just have it reviewed and tested in tag manager.